Image registration is the process of determining the correspondence of features between images collected at different times or using different imaging modalities. A wide range of registration algorithms was proposed in literature for solving this task. In this chapter the focus will be on oncology applications, where registration is the prior step of: i) subtraction imaging (to emphasize hyper (or hypo) enhanced structures), ii) fusion imaging (to integrate anatomical and functional information about lesions) and iii) serial imaging comparison (to monitor the progression/regression of a disease). 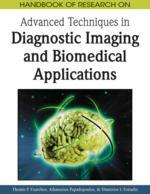 These applications are of great relevance in tumors diagnosis, staging and treatment planning. The goal of this chapter is to provide an overview of registration algorithms considering these different applications in oncology. We discuss the advantages/disadvantages of each algorithm, the results gained and the possible future developments to comply with new requirements. The role of imaging in oncology has increased in the last few years, both for identification and staging of the primitive tumors and for re-evaluation of patients during chemotherapy or radiotherapy. Often, clinical and therapeutic decisions are taken from the comparison of information extracted by images acquired using different modalities (multimodal analysis) or by a single modality at different time instants (multitemporal analysis). Typical examples are the integration of anatomical information of CT and functional information of PET, the analysis of contrast-enhanced images for identification and characterization of lesions or the comparison of images acquired at different stages of a treatment (chemotherapy or radiotherapy). For many of these tasks, image registration is a crucial step to recover the geometric relationship between corresponding points in multiple images of the same scene (Figure 1) which allows a direct, immediate point-to-point analysis. Literature provides a wide range of articles and reviews treating the problem of image registration in biomedical applications (Maintz, 1998; Fitzpatrick, 2000; Zitova, 2003), some of them dedicated to a particular organ like heart (Makela, 2002) and brain (Toga, 2001; Thompson, 2000) or to a particular imaging modality like nuclear medicine (Hutton, 2002) or digital angiography (Meijering, 1998). The goal of this chapter is to provide an overview of registration algorithms for applications in oncology and in particular for the diagnosis, staging and monitoring of tumors. The chapter is organized as follows: after a brief recall of general concepts about image registration techniques, we will introduce three applications of registration procedure in oncology (image subtraction, image fusion and serial imaging comparison) and we will describe the registration algorithms that better suit with each particular task. In addition, we will discuss open issues and future trends of this topic. Registration can be achieved by different methods that take into account different aspects. Maintz (1998) has suggested a nine dimensionality scheme to classify registration methods that Fitzpatrick (2000) has condensed in eight. For our purposes, the most useful classifications are with respect to (1) registration basis (i.e. the aspect/feature used to achieve the registration) and (2) geometrical transformation. Contrast Enhancement: An image processing technique aiming at enhancing global or local contrast of an image. In MR or CT imaging, in order to characterize different types of lesions contrast is augmented by intravenous injection of a contrast agent. Image Registration: The task of finding a correspondence function mapping coordinates from a reference image to coordinates of homologous points in a test image. Mutual Information: In probability theory and information theory, the mutual information of two random variables is a quantity that measures the mutual dependence of the two variables. Image Subtraction: A technique that permits to emphasize hyper (or hypo) enhanced structures by subtracting pre- from post-contrast images in MR or CT imaging. Image Fusion: The process of combining relevant information from two or more images into a single image. The resulting image will be more informative than any of the input images. Oncology: The branch of medicine that deals with tumors, including study of their development, diagnosis, treatment, and prevention. Serial Imaging: Consists of the sequential acquisitions over time of images of the same patient to monitor changes of a pathological area and effects of therapies/treatments.